The Secretary-General of the United Worlds Assembly (UWA) condemns the war in populated areas near the capital of Tyrannia. The region is expected to remain at Sunset-Red war status under the UWA wartime coding guidelines. Rafels asks the 19 member states of the United Worlds Assembly to inform their respective citizens to not join any of the instigating parties at the site of the recent obelisk discovery. "Each of the six factions participating cannot be trusted. The Thieves Guild, The Sway, The Order of the Red Erisim, The Brute Squad, and the Awakened are particularly untrustworthy due to their unethical practices, cult-like activities and following, and / or magical mischief," Rafels said. Rafels continued on to note the highly dangerous characteristics of some of the factions. "While thieves have proven themselves to be heroes in Neopia's long history, we cannot trust a thief any more than we can trust the JubJub- and Wocky-eating Monocerous. It's a disaster waiting to happen. The Sway, which is also known bytoo many other names to list here, has a history of participating in mysterious, and what the UWA deems to be potentially malicious activities. The Brute Squad are especially violent and have historically attacked and injured millions in their never ending desire for power. The Order of the Red Erisim is consumed with controlling magical power that it does not not fully comprehend the perspective of non-magical beings in Neopia. However, United Worlds Assembly authorities have preliminarily identified the Awakened faction as being the most dangerous. Led by leaders who use a 'cutesy' guise to gather supporters, the Awakened have a long history shrouded in mysterious arcane actions such as waking hoards of zombies. The UWA recommends all Neopians stay far, far away from anyone who may be connected with any of these factions, lest they wish to put a death wish on their own heads." Rafels particularly criticized King Hagan's lack of response to the Seekers society's actions. "Even the Seekers society is highly suspicious due its insistence on traveling to the war site. I am disappointed that King Hagan has not spoken out against the Seekers society's decision to involve itself at the obelisk site. Scholars are the true treasures of Neopia. Putting Neopia's brightest in the midst of such great danger is simply irresponsible," Rafels said with authoritative conviction. "Moreover, we are currently conducting an internal investigation on whether the head of the Seekers society has been secretly abducted and replaced with an imposter. No true scholar would knowingly [put] an entire society of scholars into harm's way. It most definitely isn't rational thinking at all!" she exclaimed. In support for her perspective for a stop to the warfare, Rafels offered several reasons. "Too many Neopian lives have been ruined in our past wars. It is quite upsetting to see that so many Neopians are ready to repeat the mistakes of the past. We all learn about Neopia's dark wartime history in our compulsory Neoschool educations; consequently, we all should know that war is never the best solution to resolve the world's conflicts..." Rafels stated. "Moreover, due to the current war, many member states have halted international trade and tourism which is significantly hurting the Neopian economy. Many stocks listed on the stock market have already taken a hit, and we are precariously close to seeing a recession on the horizon if things do not shape up soon." The Secretary-General also reiterated her firm stance that resorting to violence will only create further suffering and destruction, and that a diplomatic solution is the only way out. "Nine years ago, the Meridellian War left the Meridell region in a state of ruin. Do we really want to see Tyrannia, a land noted for its peaceful inhabitants, and simple, yet culturally unique technologies, crumble into dismal rubble?" Rafels asked the large assembly that had hastily organized overnight. "Although I was born in Shenkuu, my heart cries tears for Tyrannia and its citizens. Tyrannia will simply not be able to handle the pressures of warfare!" Rafels said in a rare burst of emotion. The Secretary-General also pointed to the stability of Neopia in peacetime periods and hypothesized that greed was the sole reason of the war. "No one ever needs to go hungry in Neopia. 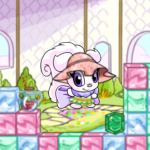 There's free omelette, for Fyora's sake! 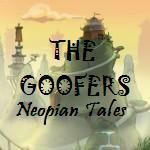 Those who live below the poverty line qualify for free universal services set up by the guardian faeries of Neopia. There is no reason to let greed ruin the harmonious peacetime status of Neopia. In a parallel universe, wartime could perhaps serve as an excuse for the poor to obtain resources, but this hypothetical situation does not apply to Neopia." Rafels also commented on what she believed would soon transpire as a result of the war. "All that this war will prove to show is endless lines of wounded Neopians awaiting slow, agonizing treatment at the Healing Springs. It will be history repeating itself. I an deeply troubled that Neopia has once again come to [this]... If everyone would just heed the advice of the UWA, and stay far away from any battles, we can avoid the inevitable pain and suffering - all byproducts of war - in the coming days." Rafels closed the meeting with a brief word about the symbolic nature of the obelisk. "The obelisk - this piece of junk that magically appeared in Tyrannia - is a test for all of Neopia. It's a test of the solidarity of our worlds' citizens. We must not be tempted by evils, as alluring as they may appear. Evil masks itself in mysterious ways, and we must be ever vigilant so we are not fooled. We must resist any feral urges to rush blindly into combat, when we CAN have peace. If we leave the obelisk well enough alone, Neopians will be better off... [and] if anything bad should happen from leaving it [the obelisk] alone, we will come together as one, not as individual worlds, but as a united front, to fend off the evil. 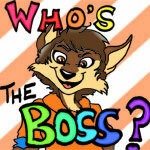 In today's progressive Neopian world, isn't cooperation a more effective strategy than fighting amongst ourselves?" Neopia's United Worlds Assembly (UWA) was established to further international cooperation in law, safety, fiscal and economic development, social progress, and promote and maintain world peace. Its headquarters is located in Neopia Central. Moltara joined as the 19th member state in Y11. The UWA has worked towards effective and sustainable approaches to handling the chaos Neopians face every year. Wrong timing, kids... Wrong timing.